Marjan Debaene started out in 2006, as a scientific researcher for M, by preparing and coordinating the move of the collections (46000) to a temporary depot. The correct storage, conservation and climate control of the depot was a first priority. The digital registration of the collections was a second one. She coordinated two subsidized projects (Flemish Community) between 2006 and 2009: Kuuroord voor Kunst (conservation project) and Collectie in Bits & Byts (registration project). In 2009 she also did the selection, preparations and installation of the new permanent collection of museum M.
She coordinated and curated several collection switches and exhibitions (Kuuroord voor Kunst, Isala & Louise, Getekend, Jan R. , Plein Air, Crossing Borders, Beelden uit Brugge…). 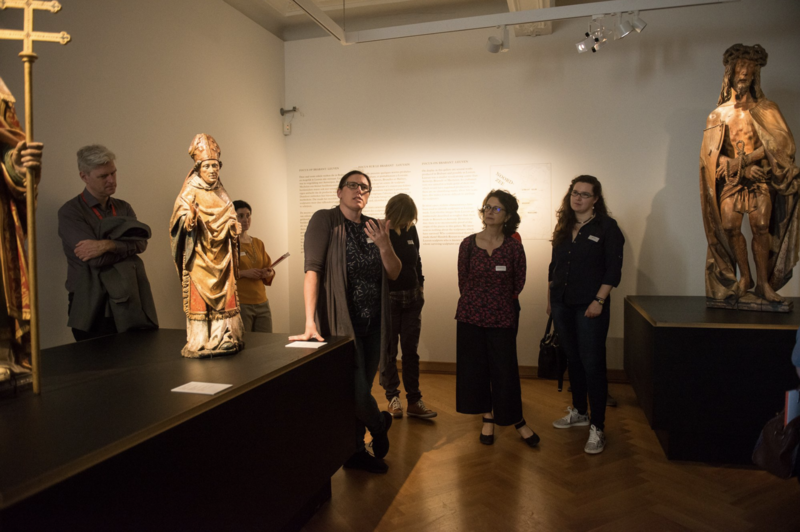 Since March 2013 she is in charge of the collections department, which is a part of the bigger department ‘Old Masters’ of M. Furthermore, she is the coordinator of the Ards-network, website and documentation centre and an organizing force behind the yearly Ards colloquium.